Due To Recent Website Upgrades, Make Sure To Go To Capewrestling.com To Purchase Tickets. The Store Direct Link Has Been Updated. The Old Direct Link Does Not Work. 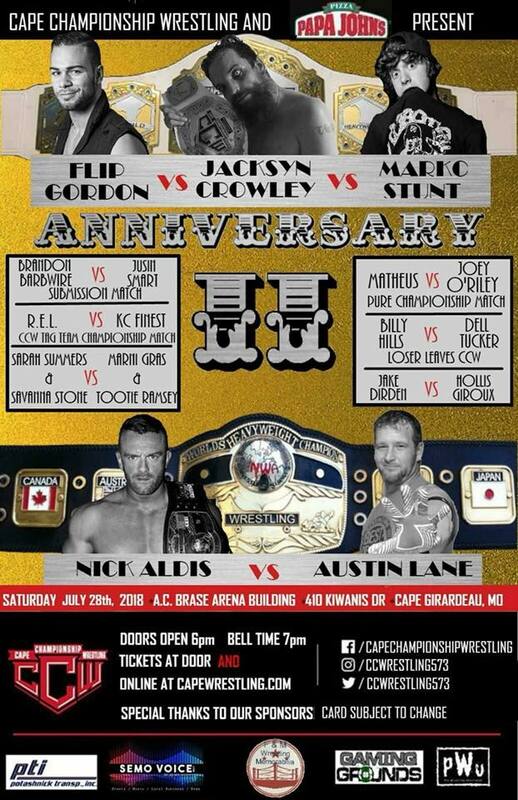 We Look Forward To Seeing Everyone At CCW Anniversary 2!!! This entry was posted on July 13, 2018 at 1:08 pm	and is filed under Uncategorized. Tagged: Austin Lane, CCW, Nick Aldis, NWA. You can follow any responses to this entry through the RSS 2.0 feed. You can leave a response, or trackback from your own site.